Thousands of lights, 3,000 snow-covered Christmas trees and 10,000 glittery baubles let Germany’s biggest theme park shine in a festive splendour during the chilly season. The decorated Christmas market in the German Alley offers visitors the opportunity to get into the festive season with a cosy atmosphere, joyful winter tunes, and delicious scents. Breathtaking rides and top-class shows delight young and old. 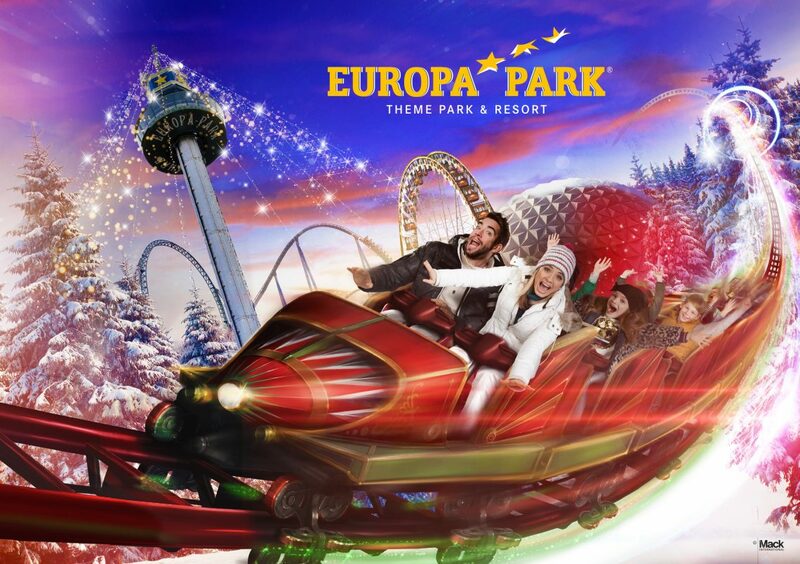 Europa-Park is open during the winter season from 24th November 2018 until 6th January 2019 as well as on 12th + 13th January 2019 daily from 11am to 7pm (closed 24th + 25th December).